When Cliff Lee returned to Philadelphia, there was a sense the Phillies’ reign at the top of the National League East standings might last as long as he, Roy Halladay and Cole Hamels stayed together in the same starting rotation. One year later, Philadelphia still proudly possesses its Big Three. But with the Marlins and Nationals making significant improvements over the past couple months, the Phillies will enter 2012 knowing the Braves are not the only legitimate threat between them and their sixth consecutive NL East crown. The Phillies made one significant decision in retaining veteran shortstop Jimmy Rollins, but that move alone may not be enough to keep Philadelphia atop the division given the new look the Marlins have committed to this offseason. 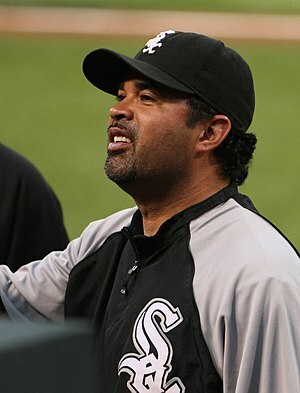 As they prepare to move into their new stadium with their new, always-entertaining manager, Ozzie Guillen, the Marlins further enhanced the excitement surrounding their club with the signings of shortstop Jose Reyes, closer Heath Bell and veteran starting pitcher Mark Buehrle. To further bolster their pitching staff, the Marlins opened 2012 by acquiring Carlos Zambrano from the Cubs. Along with making the clubhouse even more interesting, Zambrano has the potential to significantly improve a starting rotation that will once again be anchored by Johnson. While proving aggressive on both the trade and free-agent markets, the once “low-revenue” Marlins were also in pursuit of Albert Pujols and C.J. Wilson. The club’s efforts appear to demonstrate that it is committed to the kind of successful product necessary to avoid the attendance issues that existed in their previous stadium. With the assets gained from this year’s free-agent market, the Marlins provided themselves reason to believe they can immediately compete against the Phillies, and against the improvements the Braves and Nationals both expect to make over the next few years with their prized young players and prospects. The core of the Nationals’ future is centered around Bryce Harper, one of the most highly touted prospects in the game’s history, and Stephen Strasburg. Now more than a year removed from Tommy John surgery, the right-handed Strasburg is prepared to legitimize himself as one of the game’s elite starters. 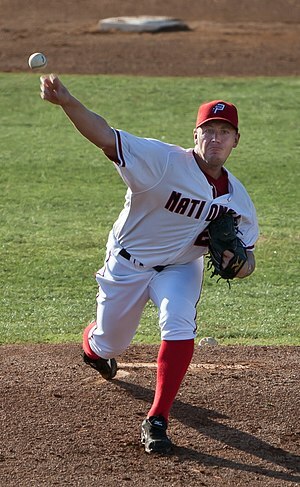 Nationals manager Davey Johnson finished 2011 excited about the contributions Strasburg and Jordan Zimmermann could provide the club’s rotation for many years to come. Two days before Christmas, the Nats’ skipper received yet another gift in the form of talented 26-year-old left-hander Gio Gonzalez, who was acquired from the A’s to further solidify Washington’s starting rotation. “Gonzalez brings a presence in our rotation,” Nationals general manger Mike Rizzo said. “He has had success. He has been a workhorse. He is very young; he just turned 26. He has accomplished a lot of things before his 26th birthday. It gives us a young core of starting pitchers at the Major League level that is in the realm of something that we never had here before.”With the acquisition of Gonzalez and the healthy return of Adam LaRoche, the Nationals are seemingly on the path they envisioned when they signed outfielder Jayson Werth to a seven-year, $126 million contract last winter. The Braves have thus far chosen to essentially stay on the same path that led them to game’s fourth-best record through this past August. An epic September collapse prevented the club from reaching the playoffs for a second straight year but also gave general manager Frank Wren some motivation entering this offseason. But instead of trading Julio Teheran or any of his other highly regarded pitching prospects, Wren has remained patient in his attempt to upgrade his lineup with a power-hitting outfielder. There is a chance he could still cross this item off his wish list by trading Jair Jurrjens or Martin Prado. Yet as of Jan. 1, the Braves still had not received the kind of offer they had hoped for in exchange for Jurrjens or Prado. Wren’s only significant move this offseason was to create $5 million of payroll flexibility by trading Derek Lowe and a portion of his burdensome contract. 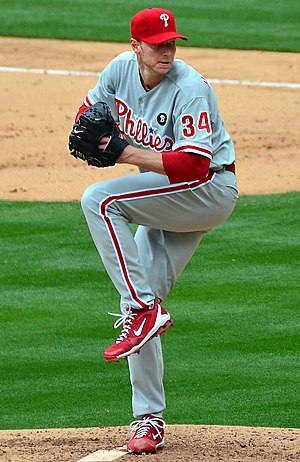 The Phillies also believe they can build on their 2011 success by staying active in the marketplace. The defending NL East champs signed closer Jonathan Papelbon away from the Red Sox to account for Ryan Madson’s departure via free agency. 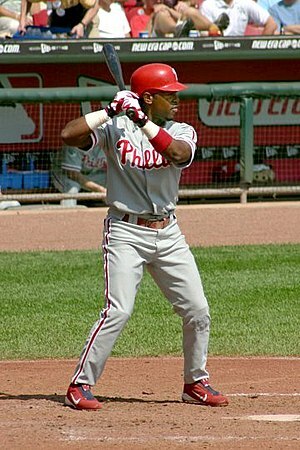 In addition, Philadelphia signed Ty Wigginton and Jim Thome to strengthen its bench and compensate for the absence of Ryan Howard, who will likely miss at least all of April recovering from a ruptured left Achilles’ tendon. When Howard returns, he’ll be reunited with Rollins, his longtime teammate who tested the free-agent market before re-signing with the Phillies in December. They’ll once again be part of a strong lineup assigned to support Halladay, Lee and Hamels. Though Roy Oswalt is poised to depart the heralded Philadelphia rotation via free agency this winter, the Phillies still seem to be the favorites to win the NL East. However, they certainly do not appear to be the overwhelming favorites they were at this point last year. Mark Bowman is a reporter for MLB.com. This story was not subject to the approval of Major League Baseball or its clubs. This entry was posted in Headlines and tagged albert pujols, Carlos Zambrano, Cole Hamels, Frank Wren, jordan zimmerman, mark bowman, mark buehrle, Marlins, National League, National League East, philadelphia phillies, Phillies, Roy Halladay by Charles Oliver. Bookmark the permalink. Die-hard Phightin' Phils fan since 1953... 59 years and counting.